To mark the centennial of the Russian Revolution, Houghton Library in collaboration with the Davis Center for Russian and Eurasian Studies and the Slavic Division at Widener Library presents an exhibition showcasing original documents from the period, assembled from its own holdings as well as those of other Harvard Library collections. 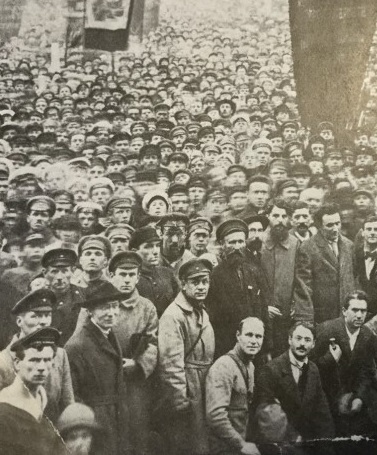 This exhibition takes a closer look at the human dimension of the Russian Revolution as reflected in its leaders, their opponents, the thousands of ordinary people of Russia and the American expatriates who witnessed these events first-hand. 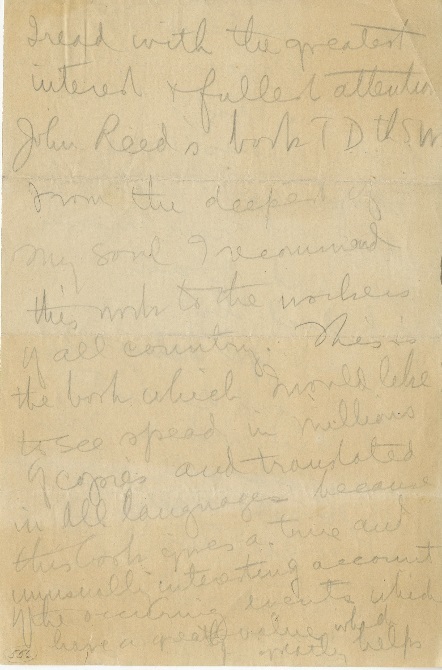 The documents from the John Reed Papers, 1903-1967, Leon Trotsky Soviet papers, 1904-1959, Russian revolutionary literature and other special collections are on display at Amy Lowell Room of Houghton Library until December 21, 2017. Highlights include handwritten notes by Lenin, Trotsky, photographs and manuscripts of journalist John Reed, documents concerning the investigation into the death of Nicolas II and his family and a diary of Hellen Tisdel de Wollant, an American expat caught up in the Russian Revolution and Civil War. 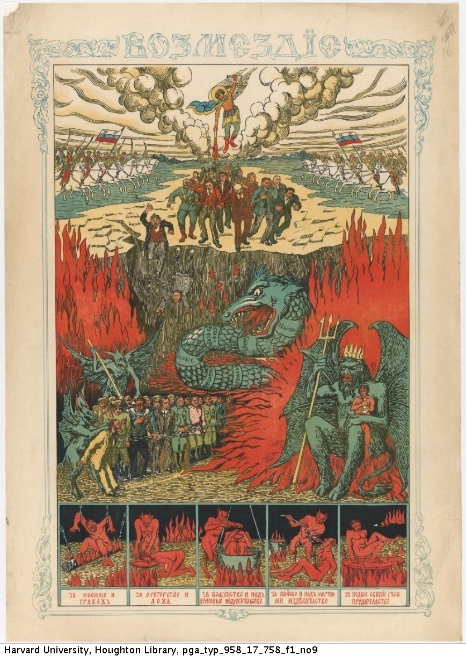 To learn more about The Russian Revolution: Actors and Witnesses in Harvard Library Collections, read the Davis Center interview with the exhibition curators. The exhibition forms part of a number of commemorative events taking place across Harvard in the fall of 2017. For further details, visit the Davis Center’s website.